Last year, Congress passed a new bill, H.R. 22, which limits a taxpayer’s ability to travel if he or she owes a certain amount of tax debt. This law could have a significant impact on a person’s business and personal life, so if you or a loved one owe a tax debt and need to travel outside of the country, it is important to contact an experienced Florida tax attorney who can address your questions and concerns. Under the terms of the new law, when the Internal Revenue Service (IRS), certifies that an individual has a seriously delinquent tax debt, the State Department can revoke, deny, or limit that person’s passport. 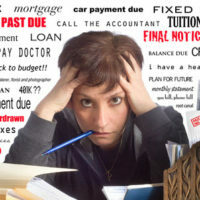 To qualify as seriously delinquent, a tax debt must be an unpaid and legally enforceable tax liability that is greater than $50,000 including penalties and interest. There are, however, a series of exceptions. For example, a debt that is being paid back pursuant to an installment agreement is not considered a seriously delinquent tax debt. Additionally, when collection of a debt is suspended as the result of a pending or requested due process hearing or a person is contesting the debt, it will not satisfy the definition of seriously delinquent. Finally, the law also allows the State Department to issue passports to those with delinquent tax debt in emergency situations or for humanitarian purposes. If the IRS certifies a debt as satisfying these requirements, the State Department has the option of refusing to issue or renew a passport and can even rescind a current passport. According to the explanatory statement issued by the Committee of the Conference, the IRS is required to follow specific procedural rules before certifying a person’s debt as seriously delinquent. For instance, the IRS must include a statement explaining that a failure to pay a tax debt can result in the potential loss of a passport in its initial debt collection notice. Additionally, the taxpayer must be notified when the IRS sends a certification of serious delinquency to the State Department. A spouse files for relief from joint liability. In these situations, the IRS must notify the State Department that the taxpayer is no longer seriously delinquent within 30 days of the decertifying event. However, the decertification only applies to the individual who is the subject of the installment agreement or offer in compromise. For instance, if a spouse files for relief from liability, the decertification of the debt only applies to that spouse. Taxpayers also have access to limited judicial review of a certification decision, including in instances where the IRS fails to reverse a certification. If you live near Daytona Beach, Jacksonville, Orlando, or Miami, and have questions or concerns about traveling outside of the country while owing a tax debt, please contact Ronald Cutler, P.A. at 386-788-4480 to schedule a one-on-one consultation with an experienced tax attorney.